Sammy Legs took an unconventional approach to where he is today. He discovered his penchant for music production in college while pursuing a career in programming. While his DJing begin as many do, through college parties and local clubs, his time spent in the Berlin underground and the California, outdoor music scene pulled legs somewhere deeper. 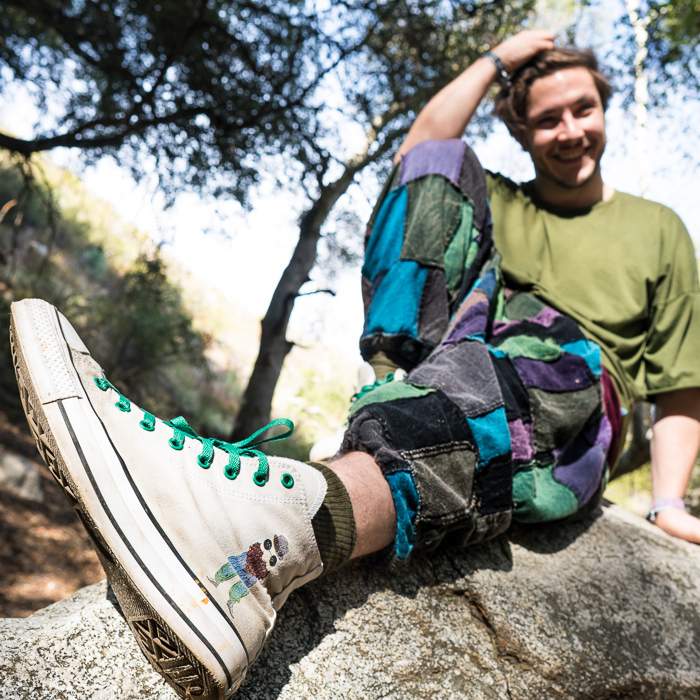 Having played parties and festivals all over the West Coast and starting two collectives that regularly throw events throughout the SF, SB, and Bay Area, Sammy pushes his cheeky, psychedelic dance-floor-energy to every weird nook and cranny that craves a weirder interpretation of the current, West Coast club and festival scene. Sammy Legs is not confined by a specific genre. He weaves elements of house, techno, breakbeat and halftime throughout his arrangements, peppering rhythmic switch- ups in every pocket. Music, in his eyes, is as much a sonic palette as a story, and he has sought to utilize his mastery of computers and synthesizers to create auditory moments that you have to hear to believe. His textured grooves and unconventional turns offer an element of surprise to those who listen. He wants you to mingle with the brilliantly bizarre and, after listening, you do too.